Cucumber is great for puffy eyes and dark circles under eyes but there is much more to do with this lovely DIYskincare ingredient, and here you will find some easy homemade cucumber recipes for different skin types and issues. Just keep in mind that whatever way you use cucumber for skin, either to make a homemade cucumber mask, a DIY cucumber water spray or apply it plain on your skin, it is better to use certified organic cucumbers. Also, the masks you prepare at home should be kept in the fridge for up to 12 hours. Cucumber has healing, toning, cleansing and mild astringent properties. 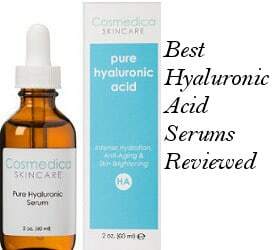 It is also softening, antioxidant and moisturizing and that’s why it is widely used in different skin care products on the market as well as in home skin recipes. It contains vitamins A, B1 and C, minerals, sugars, iron and magnesium. The cucumber peels are also beneficial for the skin and can be used for exfoliation. Cucumber can be used in home skin care remedies and recipes like emulsion products, toning lotions, skin masks and more. Due to its cooling effect, it can be used to treat mild skin burns. For example, the fresh cucumber juice can accelerate the healing of sunburned skin. 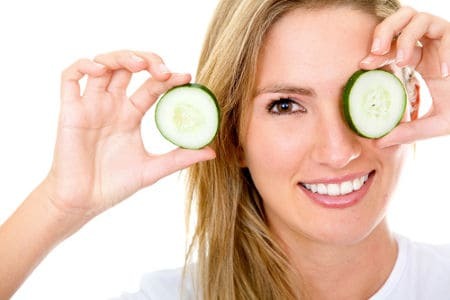 Cucumber’s benefits for tired puffy eyes as well as dark circles are well known and the only thing you need to do is cut some cold cucumber slices, apply them on your eyes and let them on for 10 minutes. This will relieve the eyes fatigue and help you deal with the puffiness. This recipe contains lettuce, rose water and cucumber juice. Lettuce is rich in vitamins and protects the skin from the negative effects of the skin sun exposure while rose water is cooling and softening. 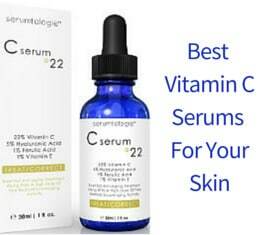 The cucumber has tightening, moisturizing and light astringent properties. 1/2 teacup of boiled lettuce water. 1 teacup of rose water. 2 teacups of cucumber juice. Slowly boil 1 lettuce for 10 minutes and then keep the lid closed and let the lettuce cool down inside the pot. Strain it and keep 1/2 teacup of the boiled lettuce water. Wash 1-2 cucumbers well, slightly chop and put them in a blender. Wait for a while till the puree gets separated from the juice and then strain the rest till you have all together 2 teacups of cucumber juice. In a spray glass bottle, mix the rose water, lettuce water and cucumber juice all together and shake well. You can keep this homemade cucumber toning lotion in the fridge for one month during the Summer. This recipe contains cucumber, almond oil or alternatively you can use jojoba oil, argan oil or any other natural oil you like. The rest of the ingredients are water and milk. The cucumber relieves sun burned skin and has light astringent qualities. The plant oils are moisturizing, nourishing and conditioning while the milk will soften the skin. 100 grams of fresh organic cucumber. 30 grams of almond oil or jojoba oil. 50 grams of full fat milk. Wash the cucumber well. Cut it into pieces without peeling it. Boil the pieces for 5 minutes and then remove them from water. Turn them into puree. Add the almond oil and the milk, and mix well. Cover the mixture and leave it in a glass bowl for 3-4 hours. Finally, strain it, put it in a glass bottle and place it in the fridge. This recipe contains cucumber which is good for blackheads, blemishes and oily skin because of its astringent properties. 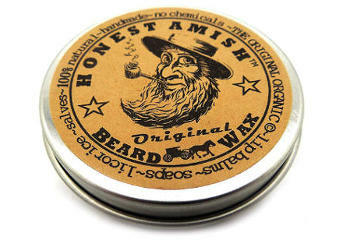 The rosewater moisturizes as well as softens the complexion while the quaker flour removes the dead skin cells. Benzoin works as an antiseptic. 1 very small glass of cucumber puree. 1 tablespoon of quaker flour. Mix all the ingredients together until you get a paste with mask like texture. For better texture, you can add all the ingredients in a blender. Also, remember that you can use the cucumber with its skin. Apply evenly on clean skin and let the mask on for 20 minutes. Remove with lukewarm water and follow with a good moisturizer. Grate the cucumber and slightly squeeze it. Add an egg white, few drops of freshly squeezed lemon and mix well. Before applying the mask on your face, you can rubb gently your face with the inside of the cucumber peel. Apply and leave the mask on for 10-20 minutes. Finally, rinse well. Just keep in mind that the best time to use this mask is at night because the lemon is light sensitizing and you should avoid exposing your skin soon afterwards to the Sun. Put some freshly cut cucumber slices on your neck and tie them around your neck using thin straps of cloth or whatever can keep the slices from dropping. Keep them on for two hours if possible. This is a natural way to soften and reduce neck wrinkles. If you have only considered cucumber as a light snack up to now, the above homemade cucumber recipes for skin can make you appreciate cucumber for its skin beautifying benefits as well.